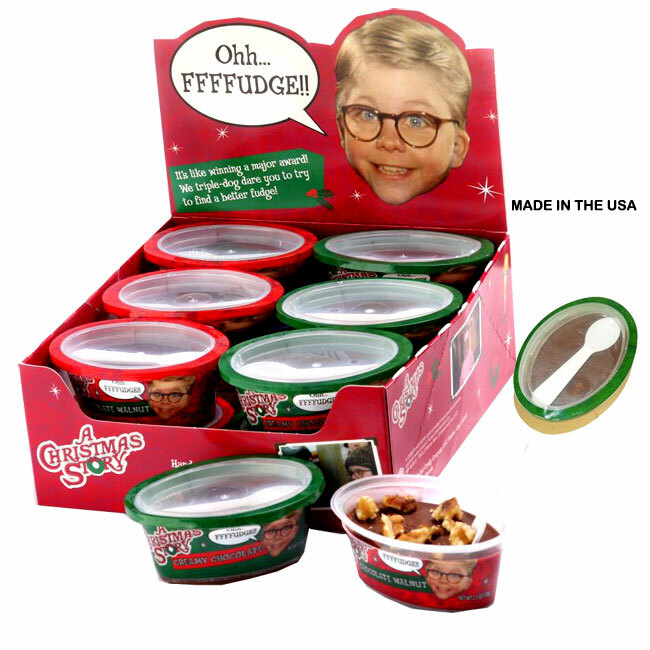 Delicious little tubs filled with Christmas Story Fudge. 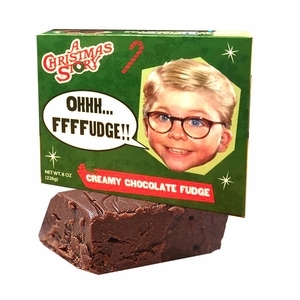 There are 6 tubs of creamy chocolate fudge and 6 of chocolate walnut fudge inside the box. Each tub comes with a spoon for easy eating. 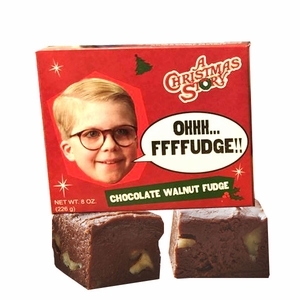 Oh... FFFFUDGE!